The District has a contract for graffiti removal within its boundaries. Each Friday the abatement crew proactively addresses any graffiti that is seen or that is reported during the week. The crew will color match, paint or power wash graffiti. Before and after photographs are taken of each site that is abated. This service is at no cost for both residential and commercial properties within the boundaries of the District. The property owner will need to sign a waiver in order for the crew to abate the graffiti. 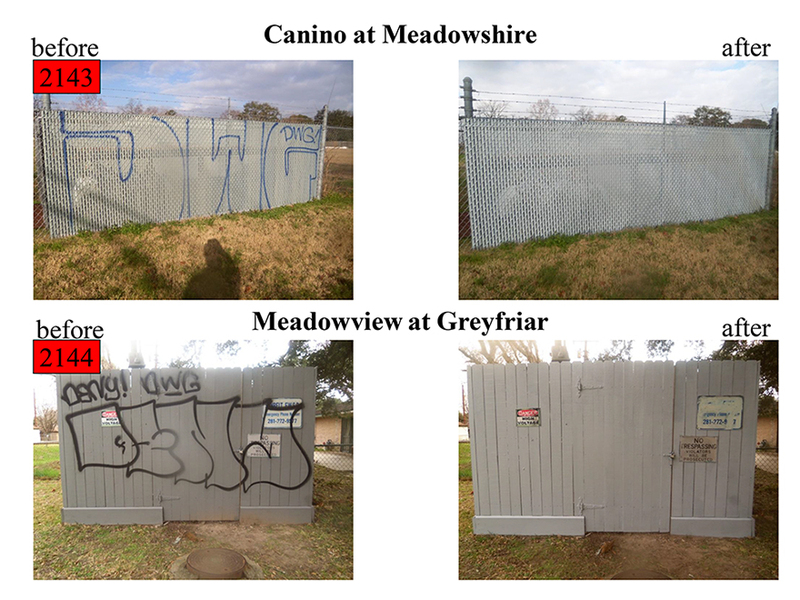 If you would like to report graffiti in the District please call 281 757-1788 with the address of the location or click on the link below.